Windows 10, Processor is Intel i7-7700, 3.6 GHz 4 cores and 16 GB RAM. My previous computer, which I still use quite often, had Windows 10, Processor i7 with a speed of 1,9 GHz and 8 GB RAM. The newer computer is faster, but the previous one works very well with Dragon. 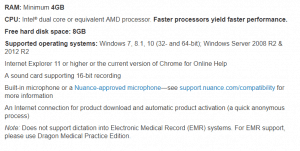 Both are more than the minimum requirements that Nuance has set out for Dragon and my advice is to get the fastest processor and most RAM that you can reasonably afford. 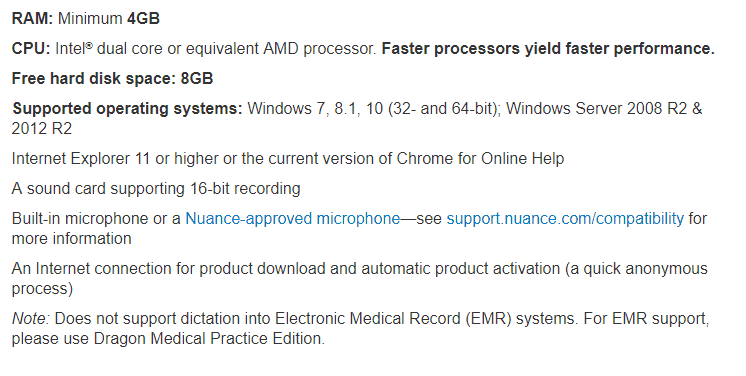 If you find one from the hardware compatibility list of Nuance (the manufacturer of Dragon) you’re good to go. Please be aware that a good quality mic isn’t automatically suitable or use with Dragon. It’s not a matter of how good or expensive the mic is, it is just important that your microphone is suitable for Dragon. 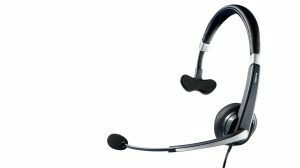 Please read here why I do not recommend the built-in microphone of your laptop. Personally I have positive experience with several brands and types. This is by no means a complete list, but check out my recommendations here.